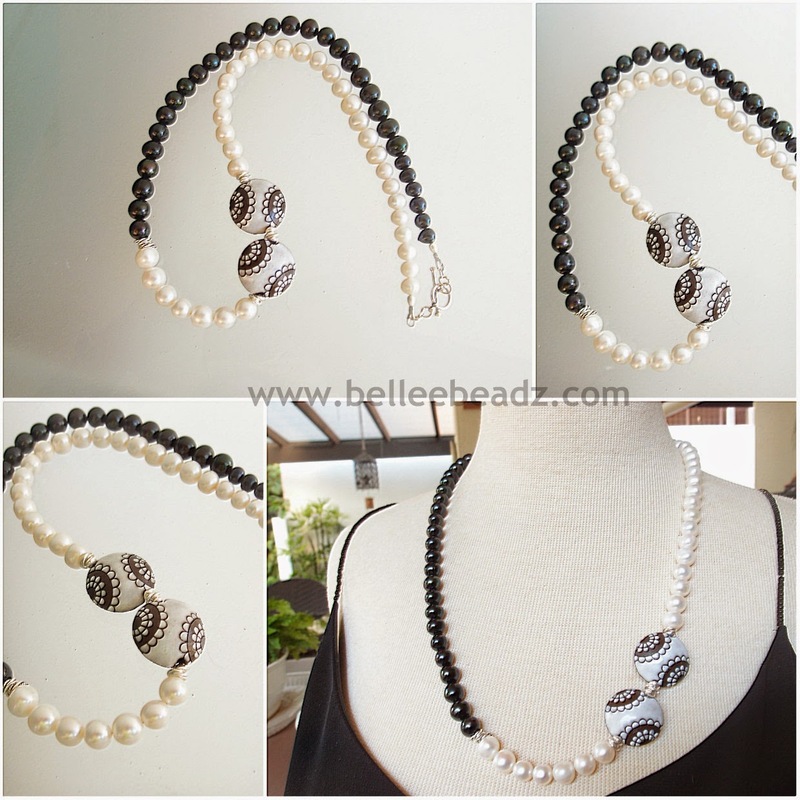 This is a necklace in tandem with hamony.......Gorgeous freshwater pearls - white and peacock - measuring between 10 - 11mm and 2 handmade glazed ceramic beads in white and deep charcoal bordering on black. The contrast and blending in makes this a gorgeous conversatioal piece. 24" from end to end with sterling silver toggle and space beads.